No additional shipping charges will be added to these Bulk Best Buys if you ship to the 48 contiguous states here in the United States. Shipments to Alaska and Hawaii will be charged $10 per box. If order experience has taught us anything, it is that we know that once you taste our product, you will want to buy in bulk quantities. These boxes are filled with the same peanuts we use to make all of our peanut products. For those of you who want to save a buck (and who doesn't? ), these are for you. The northeast can bring some very bad conditions for the critters; your peanuts have kept these guys/girls pretty chubby both in the late fall and through the winter. They have told me they like your peanuts; well it seems as they have communicated this as they wait for a hand-out every day. We are 100% impressed with your peanuts. They are so fresh and delivery unbelievable. Will definitely buy from you again! Thank you. Owner Response:We're glad you found us - thanks! The peanuts have kept the critters fed through two harsh winters whereas without the supplemental peanuts they would never have been able to dig through 4' of snow. Owner Response:Glad to hear that! Apostolic Lighthouse Church. Clarksville, Tn. We have used your peanuts for making peanut brittle for many years. It is always our best fund raiser. Excellent product!! The best peanuts since I left Bear Grass (Martin County) in 2000. We bought 30 # of the extra large peanuts, and shared some with family members, but my husband loves peanut brittle and I make it very often in the winter.. but you must have a dry cold day to do this..I keep them in the freezer so that I always have peanuts for brittle or roasted salted peanuts... YUM!!!! Discovered your website when googling for raw peanuts. My husband is from Georgia and grew up on "real" peanuts. Bertie's are the best. Big, fat and delicious. I order the raw peanuts in bulk and roast them in batches. The Blister Fried Peanuts are great too. I started making peanut brittle 43 years ago for the older people I knew, to give them some of the things they remember from when they were younger. Now at age 73 I make it for the younger folks to let them know how it used to be. Twice now I have ordered peanuts from you and both times the nuts were the best I or any of the people we gave the brittle to had ever seen. Thanks for making my wife and I so proud. The quality is always great. What a great deal. I will be purchasing from you again. Enjoyed using a North Carolina product to promote pride in our state while giving Christmas gifts. Arrived sooner than I expected, nice clean peaunts. Made excellent peanutbrittle!! Excellent product...well worth the money! Bertie County Peanuts provides unusually efficient customer/order service, and the quality of their peanuts exceeds expectations. I have ordered from them several times now. I ordered a 30# bulk peanut butter stock and received the order very fast and are some of the freshest peanuts I have had! Can,t wait to order some of there specialty nuts in the near future. Will be back often!! The quickest and best service and prices are great. I have some months buying Roasted In Shell Peanuts (25 lbs) for my backyard's squirrels, they are happy because these peanuts are huge and delicious, so I'm happy too. Purched the 30 pound of raw blanched peanuts. Great price for the money. Only concern was they were shipped with no water protective barrier, just the box. This was a great deal. My wife likes to feed the squirrels and ducks that come around. Will be buying again. SUPER FRESH PEANUTS!! And super fast shipping!!! This was our 2nd order of the 25lb bulk box of salted and roasted. We usually have a few people over on Friday evenings for a few beers so i decided to add these peanuts since we are in a building with a concrete floor, we just sweep up the next day. Everyone committed on how fresh and great tasting these nuts were. We will be a returning customer!!! Compared to Hampton Farms purchased locally not good. Hampton cost $49.75 for 25 pounds $1.99 Lb with less empty shells and overcooked brown peanuts. The size and taste the same. Blister cost $2.60 or $65.00 for 25 Lbs. Always quality product and great service. 2nd time buyer within 4 months. I bought the 25# bulk in shell jumbos both times. Great tasting peanut, and not a bad peanut in either batch. Great for parching. Would recommend these peanuts to anyone who likes peanuts. They were fresh and fantastic!!! I keep a peanut jar at work for my co-workers to snack on. They all enjoy the great flavor of the jumbo Virginia peanuts as a pick me up during the day. I highly recommend them to all peanut lovers! Product is very good and the shipping timely. I was hoping for a slightly better price when ordering bulk. I was pleasantly surprised with not only the fast, efficient shipping, but also with the freshest and tastiest roasted peanuts I have ever tasted! The raw peanuts which were purchased are excellent quality and very good value. They are purchased to include with the seeds and corn provided to feed the squirrels and birds, primarily, blue-jays! No doubt they would also be excellent to prepare for human consumption!! I have made peanutbutter from scratch for awhile. I recently decided to buy my peanuts in bulk and found Bertie Co Peanuts. I ordered 30 lbs of peanuts and they came right away. The price was excellent as was the quality. I froze the peanuts in quart bags to keep them fresh and will pull out a bag every month or so to make up a batch of peanutbutter. Yummy! Perfect solution to always having fresh, wholesome and inexpensive natural peanutbutter. Thank you Bertie County Peanuts! I sent a 30 pound box of the bulk, blanched peanuts to our son in Pinehurst. He loves to cook them in his popcorn & was delighted to get a large supply. These peanuts complement my daily diet of 3 - 5 different nuts, served with fruit, or with out other food, as a snack. They are very similar to their "northern brother"...the hand picked Virginia "Jumbo" Peanuts. This item, like all the others which I order from time to time, has excellent quality of product and preparation. I love this company. They are a an example of how any organization can succeed through quality products and customer service. Very pleased with peanuts, packaging, and timely delivery. Will reorder soon! We have been ordering from Bertie for several years and they are always just what we expected. The arrive when promised and have a good price for the product. They are great for my purposes. I feed them to the squirrels and chipmunks in the back yard. They love 'em. If you buy your peanuts at your local supermarket, you don't know how good a peanut can be. There is nothing like peanuts from Bertie County! I thought the shelled ones were in-the-shell. 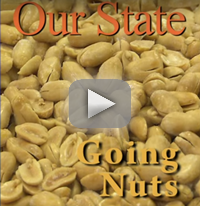 This was our first time ordering Peanuts from Bertie County & we were impressed! The quality of our bulk raw peanut order was great and Bertie County shipped very quickly. Definitely a positive experience for us! Best value on net, quick service, completely satisfied. This was my 1st order from Bertie and am very satisfied. Great peanuts! I'm extremely impressed with all aspects of my order. Quality, packing, shipping and price. Great job, thanks and I'll be back. It is amazing how fast truck drivers can go through a 25 pound bag while unloading shelled corn. Great Product and Great Service. I buy these for the wild animals around here. The price is the best on the net! Your peanuts are awesome! I purchase the roasted salted in the shell peanuts by the #25 bulk several times so that the office personnel can enjoy them. Thank you for this wonderful snack! I buy peanuts for the squirrels and birds that frequent my property. I used to buy large bags of roasted, salted peanuts in the shell from the local grocery store. Discovering Bertie County Peanuts has made my shopping easier since the peanuts are delivered to my door; and raw peanuts are much better for the birds and critters. I have been buying the 30 lb bulk peanuts for several years now and consider these to be the best peanuts available anywhere. In likely at least 200 lbs of peanuts I have yet to find one which was bad. This is a great product. Love, love, love your peanuts. I was thrilled to receive my order in a box. No fibers were in the peanuts, which is not always the case when I have gotten them in burlap bags. Been buying bulk for several years now, and really enjoy two aspects: 1) Fresh roasted is much better than roasted and sitting around for a month; 2) two cups in a food processor makes a very good fresh cup of peanut butter. Clean, 1st quality jumbo peanuts for a good price. Shipping cost was a bit high but that's to be expected. They come shelled and unsalted. They're fresh & rich-tasting. I use them for breakfast shakes. Ordered the jumbo raw peanuts. Boiled up around 5lbs the moment they arrived. they were incredible. me and 2 buddies ate the whole batch in one sitting...Just enough sweet taste to offset the salt. will definitely be making all my future purchases with you folks. Great peanuts, great delivery. Highly recommended. I feed them to birds and squirrels and appreciate that they're available in bulk and delivered to my door. Jumbo Raw in shell/25#box are prefect. Just what I wanted. The delivery in 2 days was incredible! BERTIE PEA NUTS ARE THE BEST PEANUTS IN NEW NEW JERSEY AFTER I GOT MY 25 LBS BOX OF THEM SHIPPED TO N.J.THANKS EATING THEM FOR OVER 7 YEARS OR SO. Excellent product, service, and price. I am a repeat customer, never disappointed. Jan 27, 2015 | By Barrie C.
I buy these peanuts to feed to birds and squirrels. The convenience of having them delivered to my door, eliminating the shopping, loading in my car and carrying the peanuts I used to buy locally, is the best part. These nuts were excellent, easy to shell and tasty. The two pound size came in a cute gunney sack, nice gift idea. The chocolate covered, blister fried and honey roasted were not good at all, tasteless and stale. Owner Response:Sorry to hear that you don't like our products. We'll be in touch regarding our 100% guarantee. Recived nuts in a decent time. And are of good quality. Have made peanut butter with them and was very good! I have had these bulk nuts sent to relatives twice now and they continue to rave about freshness, taste, etc. Had one issue in last 10 years. Promptly resolved. Better grade peanuts than at retail stores. Fast delivery. Surely will reorder. Your service is great, and the raw peanuts are superb! Even my local squirrels are delighted when they get some! Bought the 25# bag of slated in the shell peanuts for a company I used to be partners. They are enjoying them.....said they were the biggest peanuts they had ever had. We were pleasantly surprised at how quickly we received our order, as well as how well it was packaged. We've had zero issues with the peanuts themselves & love the option of ordering unsalted shelled nuts that we can turn around and make peanut butter from. Excellent service. Ordered items from other businesses (not related) 4 days before I ordered from Bertie County Peanuts and received my order of peanuts 2 days before the other company. High quality products and speedy processing. I will definitely do business with Bertie County Peanuts from now on. Thank you so much. Great flavor. Perfect amount of salt! Quick delivery, just what I ordered. A great company. I have ordered from this company for about 8 years. I complained one time about product and it was replace. Could not ask for better customer service ! I have ordered 2 times from Bertie County Peanuts and each order arrived just as quick as "Jimmy Johns." Excellent quality on each order and fast and prompt on shipping . I would recommend Bertie's for any customer who wants quality and quickness!!! Thanks, Bertie County Peanut Company for your service!!!! I was sooo excited to find your website! I am from the south and love making boiled peanuts but could not find any in Maryland. Now everyone asks when I will be making more...good thing I bought ten lbs! Great service, great price, great peanuts!!!! We keep these in our office for guest all season long. Them is some big nuts! I searched all over the web for a fair price on somm shelled peanuts to feed our Bluejays. Every time I found a halfway fair price, the shipping costs were outrageous. When we received the packaged product, I couldn't believe how large the peanuts were. I bookmarked their page and will most definitely be shopping agtain there soon. The order arrived within days - a 30# box of raw peanuts, which roasted perfectly in my oven. The only surprise was that they didn't come in a sack. There were peanuts falling through the cardboard bottom. I give these to local wildlife. It's the least expensive quality and quantity to feed them. These are some of the nicest peanuts I've received. Hardly any broken shells and a very nice size. The critters can't get enough. Also arrived quickly, plus I love the square box. The 25 lbs of raw unshelled peanuts I ordered were beautiful, uniform, with no, and I mean no, bad ones among them. The only thing is the taste is somewhat weak, and I attribute that to the time of the year I ordered them. After all, it's almost time for the new crop to come in, so the taste has to change some over the months. I give them a fiver. I have been buying raw peanuts from Bertie County for years. I roast them in the oven and my entire family enjoys them. I've bought this box of peanuts several times and I'm extremely satisfied every time. Makes great peanut butter, but they're also great by the handful. Super fast shipping too! Love these peanuts nice and big and blanched then we roast them and lightly salt them...mmm good. These peanuts are simply the best. Larger and more flavorful than those from other states. Truly a mouth watering and nutrition packed snack. The smart choice. Also, fewer trips to a grocery store as these come in a 25 lb. selection too. Good buy for any reason. I feed them to the squirrels and they give them a four paws up and favorable tail flick. Always arrive fresh and fast. Great service. High quality large peanuts that ship fast. I was pleased with the product, and the ease of ordering. Silly as it might seem - even the cardboard box was good quality - arrived in tact... Thanks! My order was delivered within days. Product (bulk raw peanuts) was fresh and great quality. Thank you. Great Peanuts, great service. Love those peanuts from my home State. The shipping is great. I buy every year because they get here fast and are wonderful in my homemade peanut brittle. I love that I have the option to roast my own peanuts from raw! However, it would be nice to put them on sale every so often. I buy so many that a price break would be great! Some broken, we love the taste, freshness, aroma! Will buy more! Exactly what I was expecting..
By these peanuts for the birds & they love them! Fill the peanut wreath & they are gone in no time. Thank you for a great product! Always have had complete satisfaction. Peanuts are great and I order bulk approximately every 3 months. But the shipping cost to the W Coast is outrageous. These peanuts were Excellent Quality!!!!!! No junk in the box!! Been soaking and boiling and friends &family Love Them!!!!!!! Going to order bulk again cause the folks at my mothers nursing home LOVE Them!!!!!!!! Shipped quickly and arrived better than expected. My squirrels are happy. 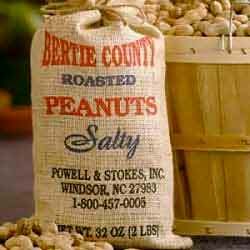 I love Bertie County peanuts,great prices and fast delivery. Best nut for your buck. Best nuts for the price. I was looking for something for my squirrels that wouldn't break the bank. We received a 25lb bag of roasted peanuts for our backyard birds. The birds love them (as do the squirrels). The box arrived quickly. While we bought these to feed the birds, the nuts also taste great! GREAT PEANUTS! My husband & I have purchased several times & we are so pleased with this product. again I will leave with you the best of the best, I need say no more, I love your peanuts and so to my birds. :) great. you have fast delivery and always what is expected. I am so glad I found you on the internet. I am disapointed About quality condition and size of peanuts. Owner Response:Sorry to hear that. We'll be in touch to address your concerns. I would like to see more such products. These plump in shell peanuts were delivered much quicker than I expected. Good price, well packed. Nice product! Very high quality, make them for folks at my moms assited living. They LOVE them. Just wish I could get a little better price. Every one order them you will be pleased!!!!!! Jumbo sized nuts that my squirrels love! Very fresh as well. Fast delivery. We've ordered hundreds of lbs of peanuts and never had any problems. My girls love peanut butter and I had always bought the natural stuff from grocer at $$$$ ajar. All the extra oil made mew anti make my own. My girls now get peanut butter they love to both help make and eat and I know everything that goes in. Funny thing is now their peanut butter now taste like peanuts and not oil. As an added bonus it is at s fraction of the cost. Thanks for a great product every time I order! Bought 25 lb box of peanuts for the squirrels. Nice heavy packaging. Squirrels love the nuts. I love Bertie and everything they offer, great delivery, fast and great treats. Product is clean and fresh. Peanuts are large and taste great. Packaged well and promptly shipped. We will reorder again in the future. Thanks. I feed the squirrels that live off my 500 SF wrap-around deck. This is a terrific buy! I was spending $10 for 3# locally. I have been a regular customer of Bertie County peanuts for years. Always top quality nuts and service. Fastest shipper around also. Always come back for more! Thanks. Are jumbo raw nuts the same as the roasted ones ? Owner Response:Nope. Raw nuts are uncooked and roasted nuts have been roasted in an oven. Very happy with my purchase, thanks guys! Great pnuts at a great price. My squirrels and dogs are happy! Bertie's peanuts are both delicious and a good value. I gave away some at work when they arrived and still have plenty more to eat at home. 25 lbs. of good eatin'! Best buy for the money. I have been buying this product for years. Although I'm in the heart of SC peanut country, I always order from Bertie County Peanuts because of the quality and price.The jumbo peanuts are certainly as big as you can get and very clean.I save money even counting shipping with the bulk buy compared to local prices. Thank you for a great products and all the work that goes into producing them! We ordered bulk peanuts for our daughter's wedding. They were available at the bar. We had lots of great compliments on the taste of the peanuts. They are roasted and salted just right. You can't go wrong with the peanuts. The raw peanuts, after roasting, make a great peanut butter. Just takes a few minutes in the food processor. I say once again Bertie you have done yourself proud, I just love ordering from you. I am sorry you were flooded again and glad things are getting back to normal. I look forward to placing my next order. These peanuts boil down perfectly! My husband from Georgia is a hot boiled peanut connoisseur. These peanuts are clean, fresh, and very tasty. 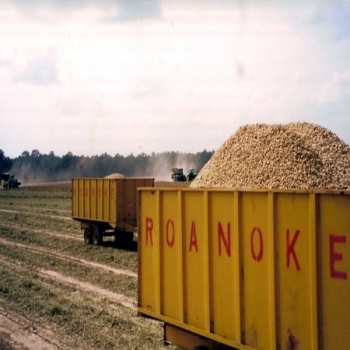 Bertie County peanuts are our only source of green peanuts. Thank you for a superior product. IT WOULD BE NICE IF THE BULK PURCHASE WOULD HAVE BEEN PUT IN ONE LARGE PLASTIC BAG. THE PACKAGE HAD BEEN DROPPED ON ONE EDGE AND THERE WAS NOTHING PREVENTING THE PEANUTS SPILLING OUT FROM THAT CORNER..A BAG WOULD HAVE BEEN A GREAT HELP. PRODUCT WAS EXCELLENT AND I WILL ORDER AGAIN. Owner Response:We're sorry about the damage to the box, and we will study alternative methods of shipping the bulk products. Thanks for the input! Always great service and great price. The 25# box of raw peanuts are the largest,best peanuts grown anywhere and our birds just love them! The quality of the peanuts is outstanding. But the shipping cost to the West Coast is astronomical. We purchase these approximately 4 times per year and would purchase more if the shipping was more reasonable. Owner Response:We agree 100%! But, since we are a small family business, we do not receive the great shipping rates that the big companies receive. Nor do we attempt to make money on shipping. We simply pass on the shipping costs. Still, we review our shipping methods and contracts every year and will be doing so again this spring. Very nice peanuts, and few, if any, empty shells. The critters love them! I also appreciate that the peanuts are covered with a layer of bubble wrap rather than bagged, which makes it easier to get to them. Thank you for your quick delivery of bulk peanuts. We live in the arid part of Washington State and until recently had no squirrels. One day showed up and started giving us a lot of joy. They need help in the winter so we feed them peanuts. Your company has been great to work with. We buy 200 lbs a year. I cannot believe how quickly your order gets to us out west. We thank you and our squirrels thank you. So impressed with the speed/price/product and that it's local. The bulk raw peanuts are a great deal for those who love peanuts and want to save money. Ships fast! Better than any peanuts I have found in any store. Price is less than half any local store. Best peanuts bar none! No one else comes close in quality and freshness! Parrots and People Love the Peanuts! They are terrific and the customer service is great! These nuts are Incredibly addictive. Bulk is best way to buy them. The best buy on raw peanuts. Only reason gave 4 stars was due to poor packaging. Nuts almost falling out of box. quality of nuts always superb!!! Very quick to ship and the squirrels were waiting for them. They were less expensive than any other place I could find. We have been using Bertie Farms peanuts for a little over a year. They have that great peanut flavor and are big and fat just the way our customers like them. The price is good and they ship right to my door! This saves me the hassle of running around trying to locate them. I loved your peanuts. Took a long time to boil but was worth the wait. I really can't tell you from personal experience how good these peanuts are because I don't eat them. I can say the bluejays seem to enjoy them immensely. They can wipe out a basketful in just a few hours. Right now they are bringing the young ones around and it's pretty amusing watching the kids try to open one. I think it's safe to say that they, the bluejays, would rate them 5 stars. This is the best buy on raw peanuts,very clean and large. Love the raw red skin peanuts, I roast them in oil and then salt them, very addicting!! Been purchasing this product for many years. Always good quality. Great for cooking. We bought a 25lb bag online and had it shipped to my dad in SC for Fathers Day. When he ran out, he called and asked if we could get him some more for his birthday! He is a LIFELONG peanut eater and he has classified these as the best he's ever had. We recently purchased the Peanut Parade for ourselves and every flavor we have tried as been amazing. We also bought the Weeping Mary's Ghost Pepper nuts, both chocolate covered and regular and they were even delicious, but VERY hot. We were so impressed, we decided to send the Peanut Parade to our out of town family members for Christmas! Bertie County Peanuts knows how to treat a nut. They have certainly perfected the art! Excellent as usual. Very clean and the birds are loving them! I have ordered this excellent products for years, and I am always happy with the product quality, the price, and the very fast delivery! I an a regular customer buying bulk peanuts. I brine and roast them for my friends and co-workers. They are a big hit! Maybe bulk peanuts should be shipped in a plastic bag instead of a box that gets ripped or is not sealed entirelyslashed. Owner Response:Sorry to hear you had an issue with the peanuts. We'll be in touch. From order to delivery, exactly as expected. Great service! 25# of Raw Peanuts are just what the birds wanted. They LOVE Bertie Peanuts! My purchase was was very pleasing. The shipment arrived way sooner than I had expected. The peanuts are premium without a doubt. Thank you for your service. I look forward to doing business with you guys again. A very satisfied customer. My husband loves fresh roasted peanuts. I buy the raw peanuts in the 25 lb bulk package. I keep them in the garage fridge and roast a panful at a time. They are the best! Always a pleasure to do business with you-all! Your product is excellent and processing and shipping were Faster than usual...even using economy!Our local area grows peanuts but you BEAT their prices,THANK YOU from all of us,60 birds and I. Always get really good quality peanuts, and in a timely manner. My husband makes around 125-250 lbs of peanut brittle every Christmas for people that he works with and family and friends. These peanuts are excellent quality and never disappoint. I've ben buying the 30# Virginia Jumbo for years, they are always great! The product smells fresh and is of excellent quality. The critters love the raw peanutsm and the rest of us love the roasted peanuts. I purchase in bulk and the peanuts are packed into a box that weighs 25 pounds. They are always shipped within a couple of days of my order and arrive by FedEx in excellent condition a few days later. Would recommend Bertie County Peanuts to everyone. They seem over roasted. Fast shipping, great company. Thank you for a good product and good service. These nuts are a big hit on our job site, everyone enjoys them. Great price for the amount you get and free shipping.